hot kate back from paris! 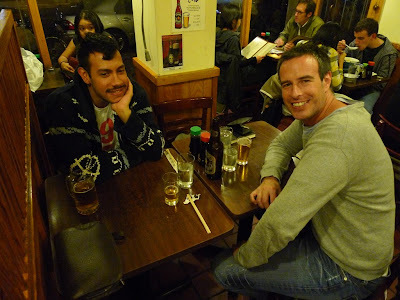 then off to dinner with matthew and damien at our crack japanese joint. she's back and as always she cracked us up with her psycho stories. hot! you know that nun joke... about the head nun saying "if you giggle at every bump, i'll make you put your seats back on." always fun dinner! matthew said next time heads up when you are bringing a mexican to dinner.